Carrot with its rich blend of dietary fibers and antioxidants can not only form a side dish (vegetable or mix it in sambar/dal) in full meals but it can also act as ingredient for a sweet dish. Carrot kheer or carrot payasam or gajar kheer is a common sweet dish across India due to its taste and easy preparation method. Additional ingredients apart from carrot can be increase the taste of this delicious desert. If you have been to Indian restaurant then carrot kheer is commonly served as a dessert or a sweet accompaniment for lunch or dinner. This is an ideal dish for festive and special occasions. Boil carrots and blend it into smooth puree. Bring milk to boil. Once milk forms the cream at the top, add carrot puree into it. Then add sugarfree natura for the sweetness . Mix well and cook for another 5 minutes. Lastly add cardamom powder and saffron strands. Mix well and turn off the flame. 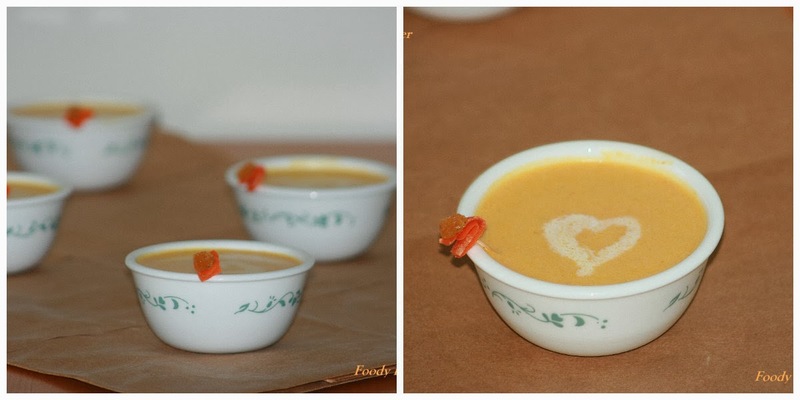 Carrot kheer is ready to serve. I have also tried this dish with other vegetables such as raw papaya, bottle gourd, and beetroot. If you wish to increase the flavor of this dish then coconut milk or condensed milk along with nutmeg powder can be a good option. Some of my friends have prepared this dish using carrot puree. Whatever ingredients you use, do not miss the taste of this delicious dish. Yummy and one of my favourites.